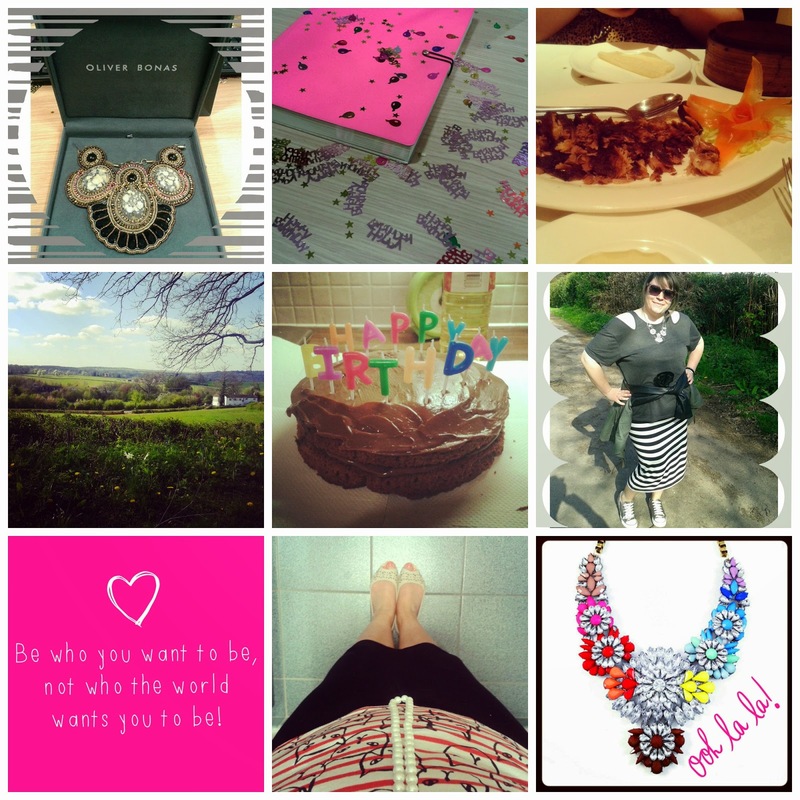 Of all the social media out there, Instagram is truly my favourite and I am obsessed! I love nothing more than posting beautiful images and seeing those posted by others, it has become my morning ritual to scroll through and see what moments have happened whilst I have been asleep, and as most of the bloggers I follow are in the US there are usual quite a few to catch up on. * A new summer season deserves a new pair of sunnies - not my usual style but so fun, with pastel animal print - newlook.com. * Crazy about lips, love this Lulu Guiness inspired print from Matalan is just gorgeous and looks great on this simple silky cami top. * The tester cake for my birthday, one of the perks of being married to a chef - yummy treats. * My favourite way to wear a scarf, with a vintage pin. * Lands' End getting trendy with a mention in Look Magazine for the beautiful floral mac, part of the current SS14 collection, take a look - Floral Raincoat. * New bedding I couldn't resist, something cute about all the glasses especially when Willow spends ages trying to move them! Primark really do have some good home stuff and great for £12.99. 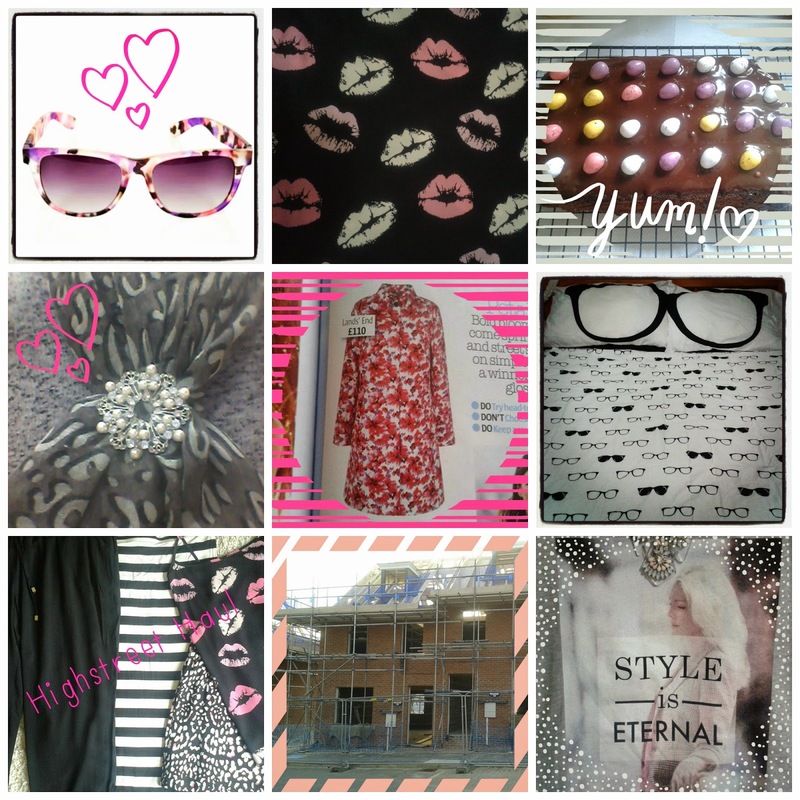 * My Highstreet Haul - bargain shopping with some fabulous pieces and prints. * The latest view of my house - it nearly has a roof! This waiting game is killing me as I am not the most patient of people and I am so ready to get in it and start making it a home. * Part of one of my favourite quotes used on a simple grey t from Primark, Yves Saint Laurent was right "Fashions fade, style is eternal". * The sun has arrived and so have my legs!! 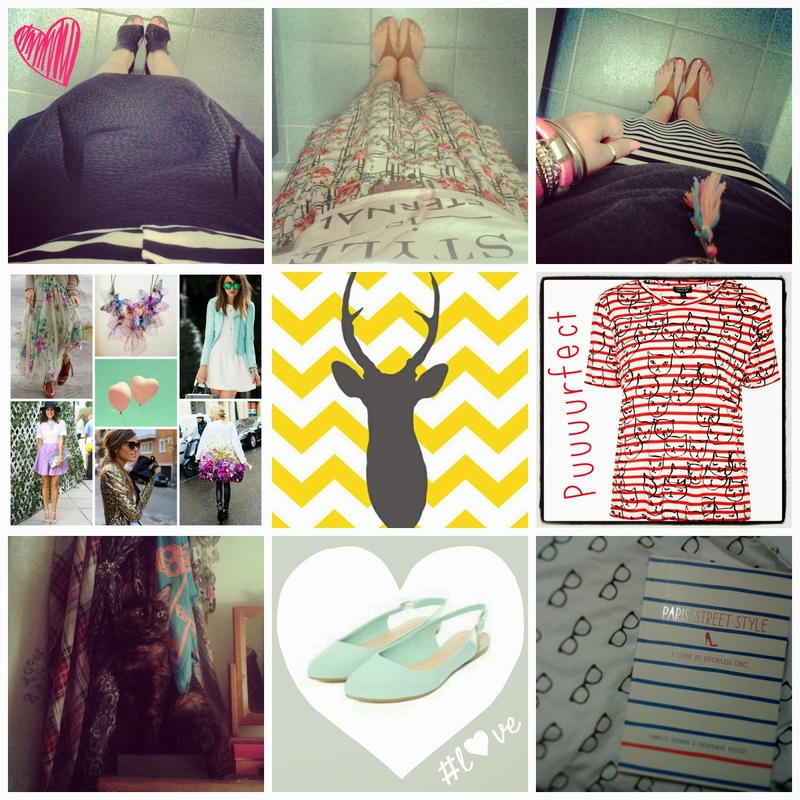 My three favourite outfits from this month: 1. H&M midi skirt styled with a striped sleeveless blouse and fringed sandals. 2. Primark printed midi skirt and slogan t with my faithful flat tan sandals. 3. My New love - H&M striped pencil skirt teamed with a open shoulder t and ethnic inspired jewellery. * My April Pinterest favourites, such a great mix of images this month with a fabulous pastel palette, really love the beautiful intricate necklace and floral embellished coat. * My new home decorating inspiration, absolutly in love with this colour mix - check out the full post Grey&Yellow. * The new Puuuuuuurfect piece in my wardrobe, a great new take on a stripe t with an almost French twist. Topshop really do have some amazing quirky basic pieces at the moment. * Willow felt like a furry fashionista one evening and was having trouble deciding which scarf to wear! I believe she decided on the leopard print - such a little poser. * New spring shoes, perfect shade of mint and a very cute sling back style, also available in other colours on newlook.com. * My favourite way to relax when I get home from work, with a good book from my vast array of fashion & Style titles. * BIRTHDAY!!! So where to start..... first off is the stunning Oliver Bonas necklace I received from the ladies at work, so me and I love. Next up is the sparkle fest that was my desk, I am still finding stars and the occasional happy birthday dotted around. * An early celebratory Chinese buffet meal with my amazing best friend - note to self don't wear a tight fitting skirt when you visit and all you can eat restaurant! * The beautifully view from round my mum and dad's house, perfect setting for walking off all the cake. * The final cake from hubby, yummy chocolate with buttercream topping. * My birthday outfit, had I realised the country outing would happen I would have been a little more appropriately dressed but oh well. * A saying that I have always found to be true and will always live my life by. * Parisian kitty chic, teamed my new t with a pencil skirt and pearls - felt very grown up in the office, but with a me twist. * Finally a late birthday treat to myself - spent some of my birthday pennies on this amazing rainbow statement necklace from EBay, that I cannot wait to wear! 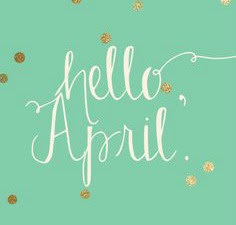 So that was April - May here we come!